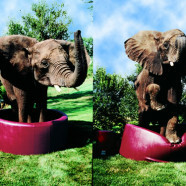 Durable enough to withstand the strength and weight of an elephant; no matter the weather—sun, rain, frost, or snow—the Leathertex exterior of Softub hot tubs has been created for long life and durability. Softubs are unsurpassed for comfort and convenience. The soft but stable Polybond interiors provide comfort in all positions you may want to relax in. Our high standards for quality have not limited the beauty of Softub. There are seven designer colors to choose from to match any décor. Softub has ushered in a new era in relaxation. Softubs are light, portable, comfortable, and environmentally friendly.